Until 12:30 autonomy with its additional battery (optional ref.BA-69). 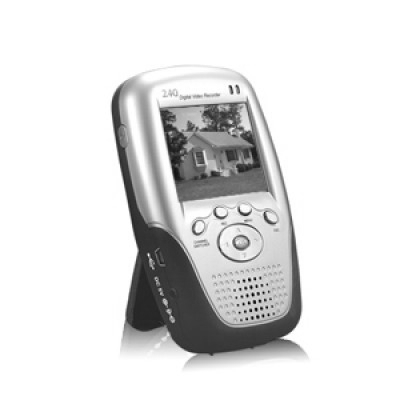 The strengths of our micro recorder digital audio video professional portable is size ultra miniaturized for quality video recording HD up to 1280 x 960 pixels at 25 images / sec. 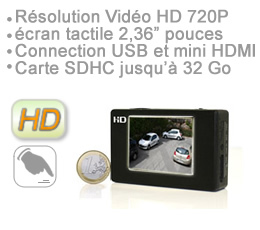 HD recorder mini is equipped with a touch screen of 2.36 inch integrated, efficient and easy to use thanks to its intuitive French menus and is compatible with our microphones camera HD HDMI connector or a standard analog camera then. It supports vibration and shocks without any problem while recording since there is no room in movement, its memory card (provided 4 GO) is expandable up to 32 GO. 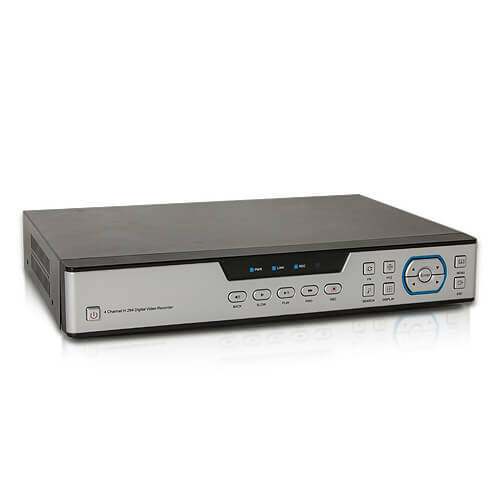 Our DVR-500-HD has modes motion detection recording, streaming mode programming and all our videos are timestamped, there is a counter indelible image on images (time code). Movement of our logger detection can be done on 16 zones predefined by your care to eliminate such street area or even foliage which could with the wind you trigger an inappropriate registration. Wired system between the recorder and the camera, it delivers direct voltage to the different type of cameras camera button hidden camera paluche, micro camera, etc.is the DVR HD recorder which feeds the camera therefore a single thread to link audio video and power supply avoids additional batteries and a multitude of external cables, the sound of your HD recorder decision-making level adjustment is done directly on the touch screen. 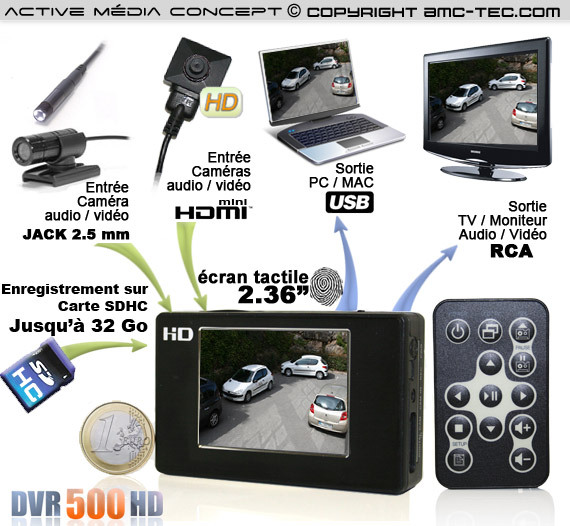 Our HD DVR recording format is 960 pixels, the interface is in English and therefore easy navigation. The size of our HD recorder is ultra compact and its ports are HDMI and USB DVR-500-HD is compatible with Mas Os and Windows. 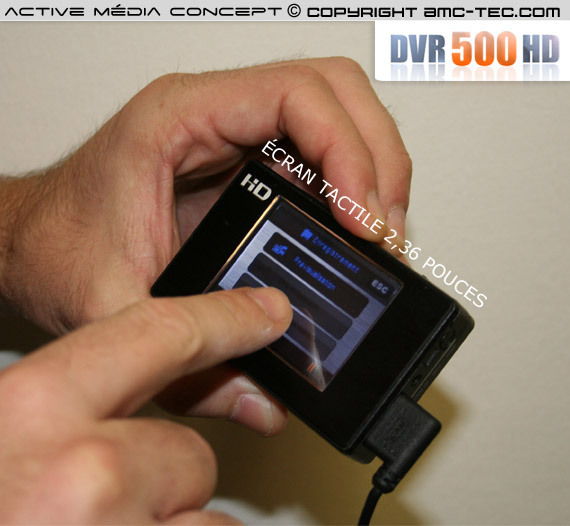 DVR - HD high contrast screen allows you to have clear images during registration or even replay. All video files are in the ASF format and easily accessible with your computer for reading or recovery videos by simply slipping filed via USB, the format of the files in ASF Videos is readable on most media player. Use our HD recorder can be associated with one of our cameras sold on our site you can find in the topic camera end page only &amp; camera hidden or well as an option. Autonomy of our DVR HD 500 in continuous recording mode is more or less 3 p.m., put you also in the settings HD recorder loop on its memory card. You can increase its autonomy until 12.30 by adding an additional battery (optional ref.BA-69). 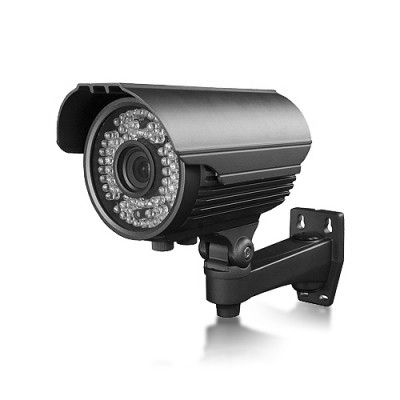 Different type of business will be able to use our HD recorder as, video surveillance property (House, cottage, cabin, etc) monitoring site (protection tools, hut, filing, etc.) 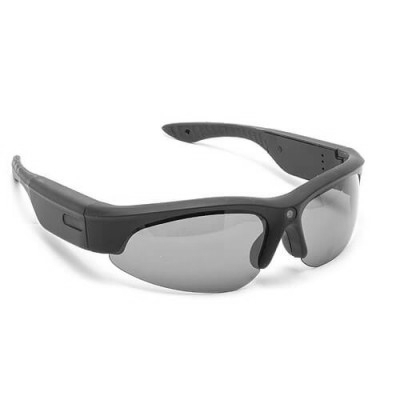 but also investigation, camera hidden research officer police generally our DVR-500-HD recorder is a tool for clean sport relaxation or family, video audio surveillance, that public safety professional work. 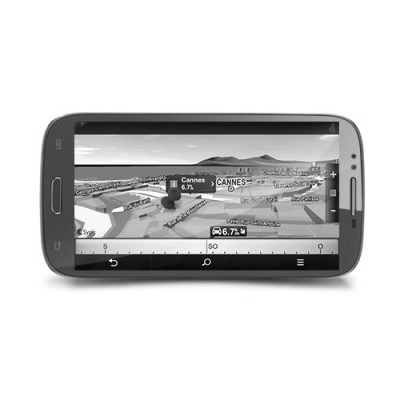 Its size, its performance and its strength associated with one of our cameras in option below make a device of choice for discrete and mobile applications. 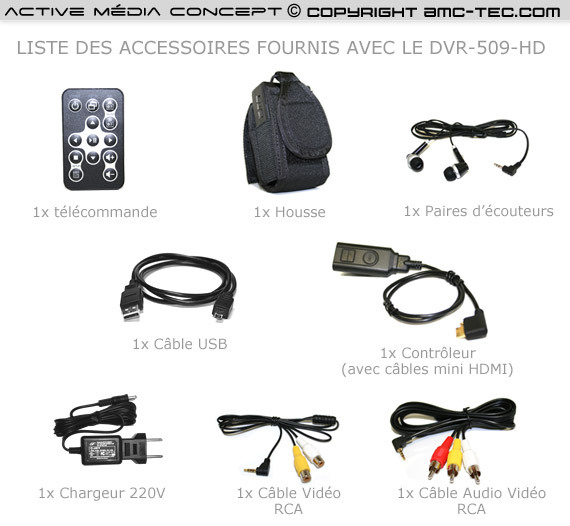 The operating system is in French or English, its removable internal battery (Li-lion 3.7 Volt / 2200 mA), a 4 GO SDHC card is also provided so that you have to almost 1 hour recording in full HD quality. 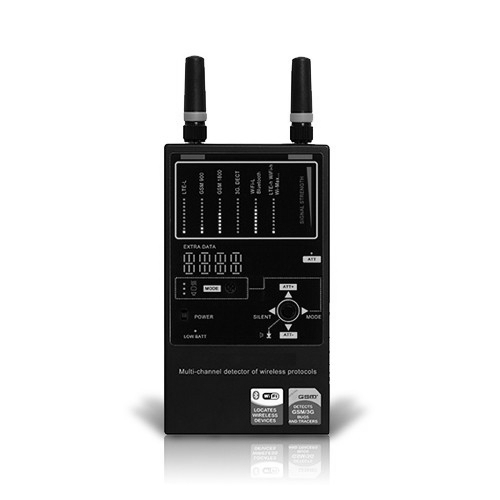 A wired remote HDMI mini connector is provided with your HD DVR, the remote control to function walk / judgment and record / stop buttons as well as a button for instant photos fixed image recorder entry. It takes seconds to start and start recording. 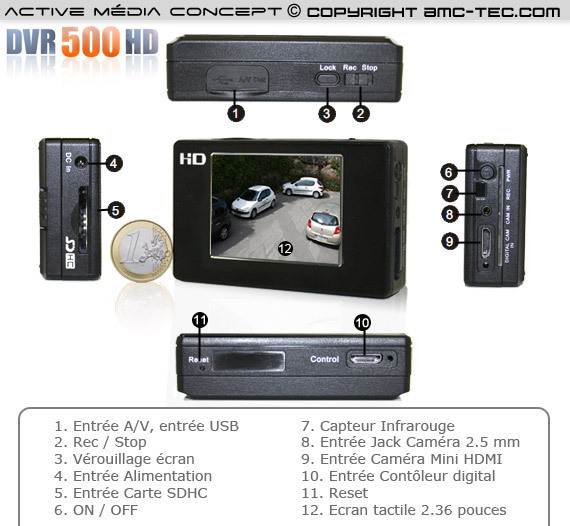 Infrared remote control is also provided with our HD recorder, it allows you to control the HD DVR remotely.